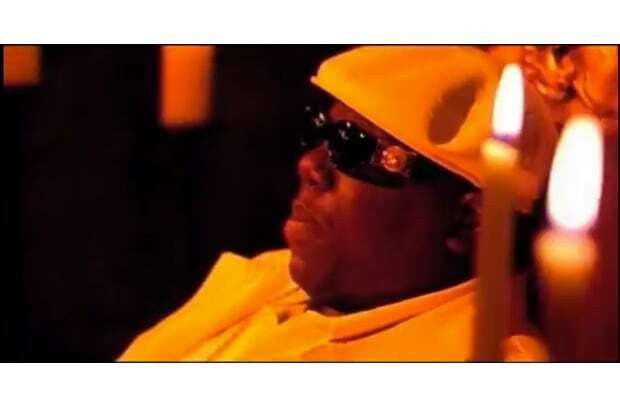 Complex says: Biggie single-handedly put Versace shades on the map. In 1995, he rocked the Versace Medusa-emblem sunglasses in his "One More Chance" video, and the streets went crazy trying to figure out what model of the shades he had on. Over the course of his career, he continuously rapped about the Italian fashion house. He sparked a new (read: expensive) era in Hip-Hop and probably had every dude out there in Versace shades, too. Seventeen years later, even artists like Lady Gaga know about the rapper's trademark look; she refers to her 1980s vintage Versace frames as her "Biggie Smalls Versace glasses."